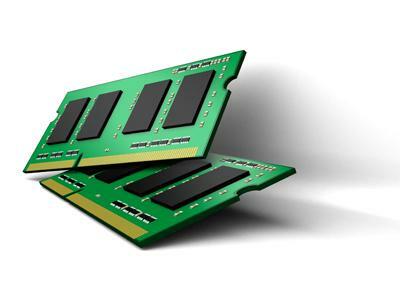 If you need to know what type of RAM is installed in your system or how is the manufacturer of your memory device, you can try reading the SPD (Serial presence detect) info directly (but not all the memory devices exposes the SPD info and reading the SPD require Kernel Mode access) , use the Win32_PhysicalMemory WMI class (but depending of the manufacturer the WMI fails to get info about some memory properties like the memory type) or using the SMBIOS. 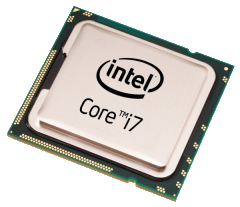 Using the SMBIOS you can get most of the info related to the memory devices installed like manufacturer, type, speed, serial number and so on. The next snippet show how using the TSMBIOS and Delphi (or FPC) you can retrieve such data. Categories: Delphi, SMBios | Tags: Delphi, FPC, SMBIOS | Permalink. 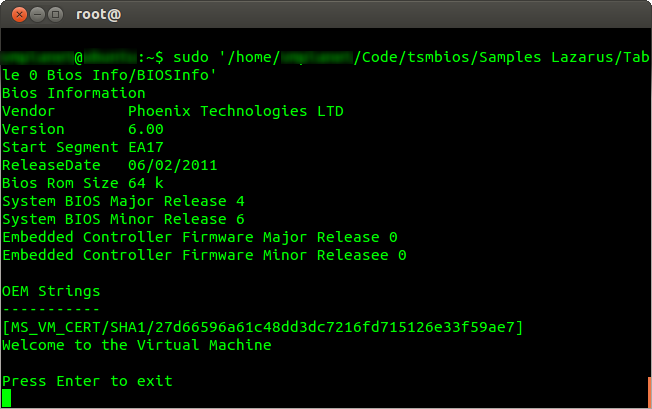 UPDATE : If you want access the SMBIOS using Delphi or Free Pascal try the TSMBIOS project. 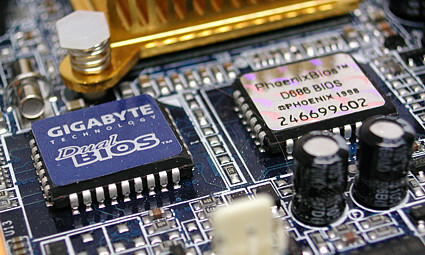 The system management BIOS (SMBIOS) is a specification of how the system vendors present management information about their products in a standard format, so you can use the SMBIOS to discover information about the hardware platform, such as the system manufacturer, the system BIOS version, processor installed characteristics and so on. 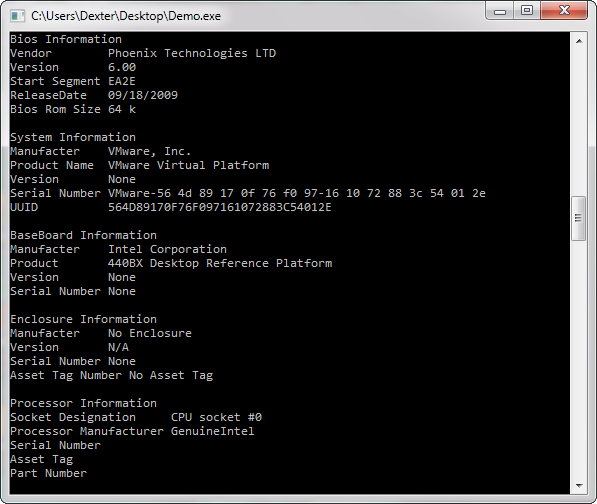 From windows you can acceess the SMBIOS tables using the WMI or the WinApi. 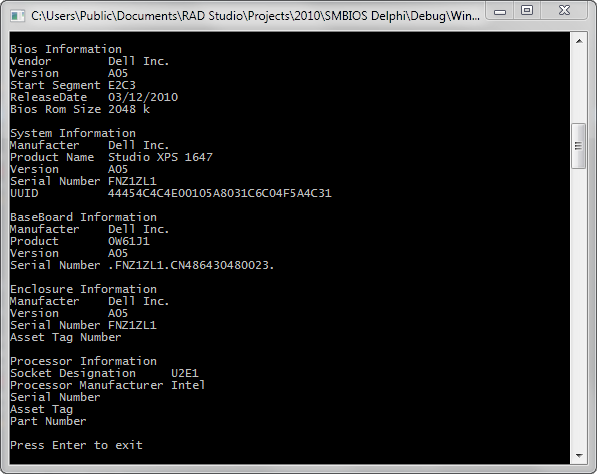 In this article I will show how you can gain access to the SMBios tables using the WMI and Delphi. The tables are located directly adjacent to each other in memory. Each table is composed of a 4-byte header, a specific structure , and an optional string table. The text strings associated with a given SMBIOS table are appended directly after the formatted portion of the structure. Each string is terminated with a null (00h) BYTE and the set of strings is terminated with an additional null (00h) BYTE. When the formatted portion of a SMBIOS structure references a string, it does so by specifying a non-zero string number within the structure’s string-set. For example, if a string field contains 02h, it references the second string following the formatted portion of the SMBIOS structure. If a string field references no string, a null (0) is placed in that string field. 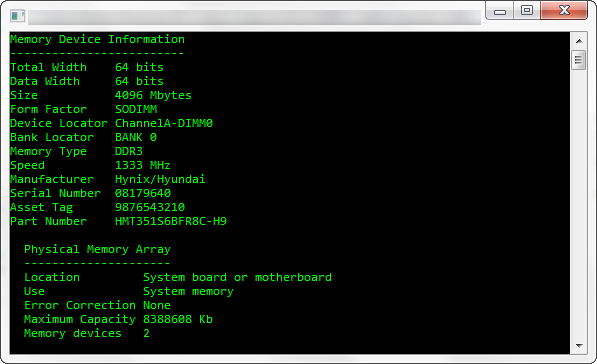 Now which you know the basics about the SMBios table structures, you need a way to retrieve such tables. the WMI provides a way to get the raw SMBIOS data in a single buffer using the class MSSmBios_RawSMBiosTables this class is in the root\WMI namespace and is available since Windows XP. From the Delphi side we need to create a few structures to hold the data of the tables and write some helper functions to parse the information. The next code show how you can parse the buffer with the raw data and fill a Generic TList of TSMBiosTableEntry records. Check these samples images of the console App. Categories: Delphi, SMBios, WMI | Tags: Delphi, SMBIOS, WMI | Permalink.